Just days after a 500 pound piano went missing from a Bronx park, neighbors and community members have come together to replace the instrument. By Thursday afternoon children of all ages were once again tickling the ivory on a free piano in Williamsbridge Oval Park. Aiden McNeil, 4, said he had never played a piano before and found it fun. Ayala Espinet, 8, said "it just feels so great". But the piano they were playing has an interesting tale to tell. Its predecessor, provided by a non-profit group called Sing for Hope, stood for several days in the park until the 500-pound instrument was mysteriously stolen sometime between Sunday evening and Monday morning. Monica Yunus, Co-founding Director of Sing for Hope and artist Scott Glaser talk about this year?s Pop-Up Piano project. Elisabeth von Uhl is part of a group called "Friends of Williamsbridge Oval" who said the theft is "unbelievable." "There's a 24-hour security guard in the park, like 25 feet away," she said. 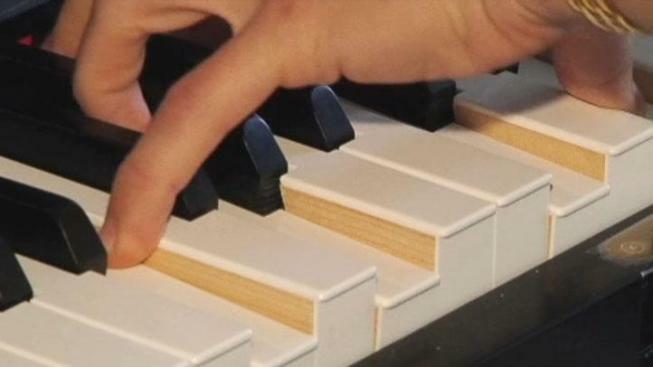 Police are still trying to figure out how the piano was stolen, but von Uhl and her group knew they had to take matters into their own hands right away. The group reached out for help, in part, through Facebook. Their efforts yielded a piano that was donated anonymously, ready to be picked up. But the question was: how to get it from a 4-story walkup in Manhattan to a Bronx park with two hilly entrances? Strangers came to the rescue. Outside von Uhl's house, "Was a guy sitting in his pickup truck eating an ice cream cone looking very friendly", says Elisabeth. She said the guy's name is Fernando. "He drove us down. We gave him some money for gas. He helped hoist the piano." Lorita Watson, another member of Friends of Williamsbridge Oval, described how other strangers helped out as they were trying to haul the piano in Manhattan. Lorita says they asked men on the street and "they literally put it on the curb to get it in the truck and they helped along too." "I know a lot of people sometimes (are) not really good, but this is just great that people (are) being so kind," said Ayala Espinet of the second piano's journey to the Bronx. 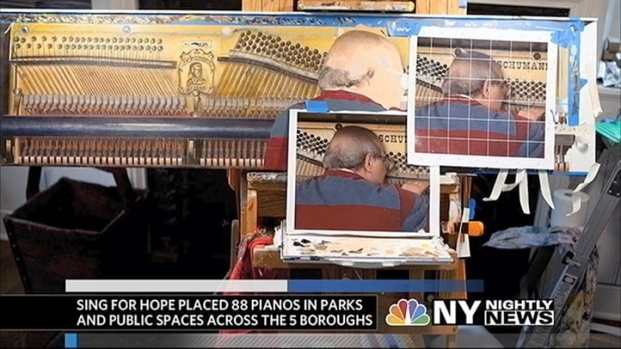 The piano is one of 88 placed in parks throughout the five boroughs by Sing for Hope. The co-founding director, Monica Yunus, hopes that by having children interact with the pianos, they "may get hooked in that way. It's about bringing music to communities that don't have access to it otherwise." After a fresh coat of paint on the replacement piano, it'll be at the park for children to play until at least Saturday.